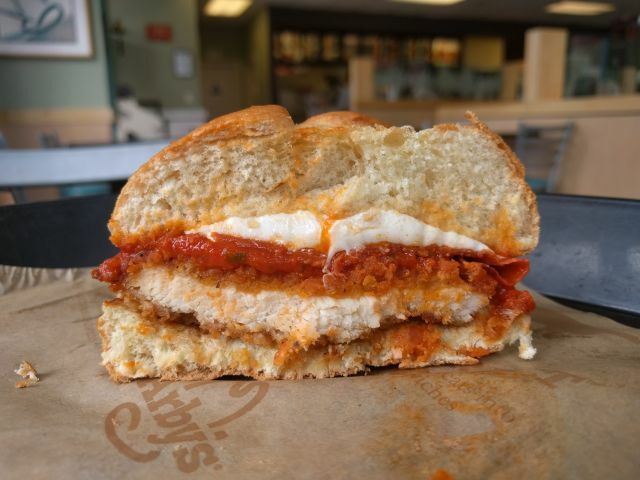 Arby's Chicken Pepperoni Parm Sandwich features a crispy-fried buttermilk chicken filet topped with roasted garlic marinara, slices of pepperoni, and fresh mozzarella on a toasted, star-cut bun. I went and got one for $5.09. 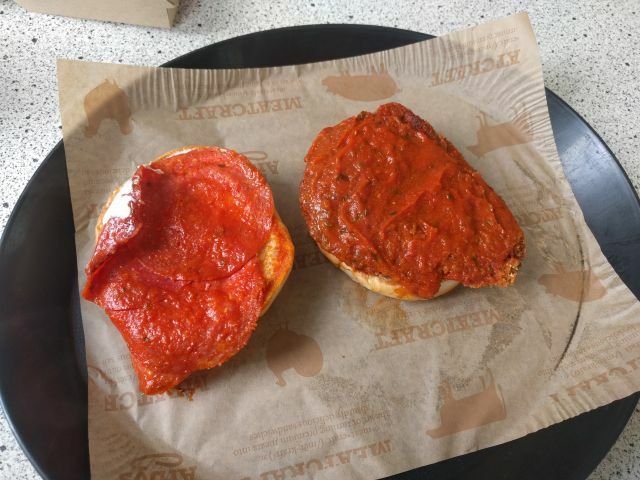 The deli-style pepperoni contributed a slight spiciness but also made the sandwich a little too salty. I was tempted to pull out the pepperoni slices and eat them separately. Chicken was a just little dry. The breading offered a texture that's less flaky or heavy but rather airy and somewhat like a crunchy sponge. It stood up well to the sauce, which was thick, robust, and steaming hot. The mozzarella melted really well and had a nice, stretchy pull to it. The bun was soft but resilient and didn't fall apart on me. 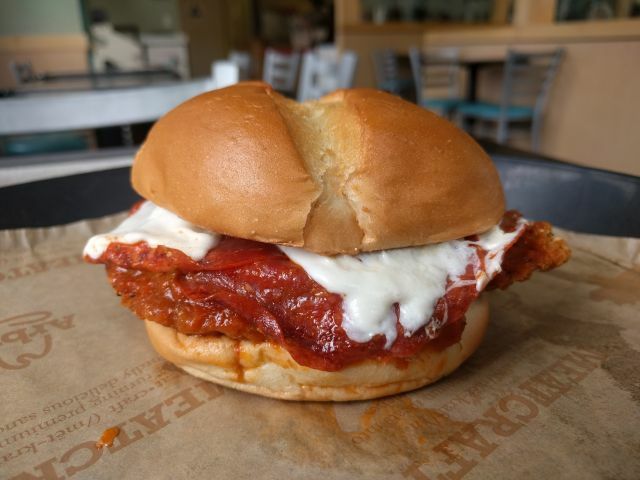 Overall, between the crunchy chicken, the flavorful sauce, and the gooey mozzarella, Arby's Chicken Pepperoni Parm Sandwich was pretty tasty but the addition of pepperoni detracts (or rather distracts) more than it contributes. Also, I have to point out that it's a chicken parmesan sandwich without any parmesan in it.